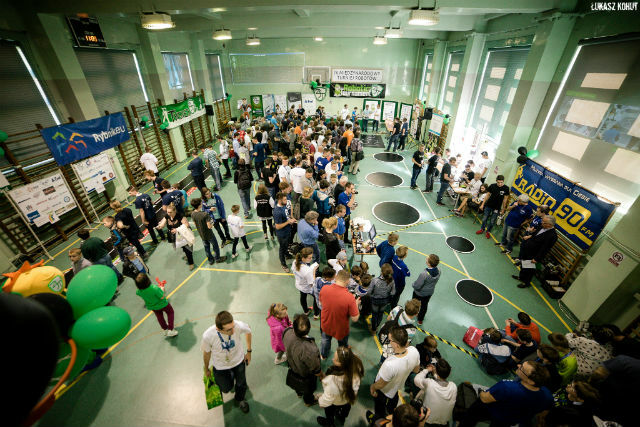 The contest organised by the Technical School Complex in Rybnik took place on 01 April 2017. 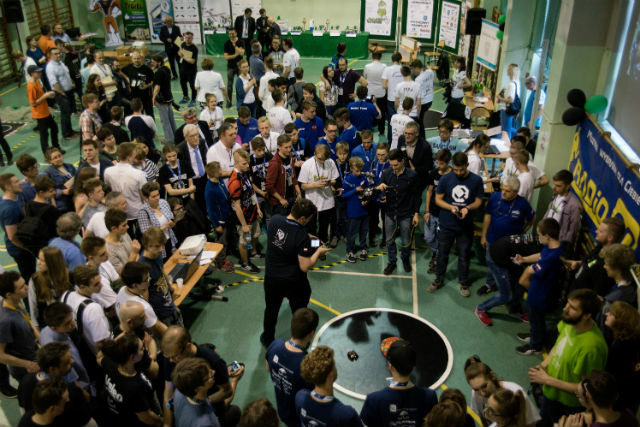 This year’s edition attracted 299 robots and 260 competitors representing 122 teams. It should be noted that it’s 56 robots more than last year. The competitors represented Czech Republic, Slovakia, Germany, and obviously Poland – 48 towns and 51 institutions in total. The contest required the participants to bring robots of their own design that they could freely modify and reprogram in a designated service areas. 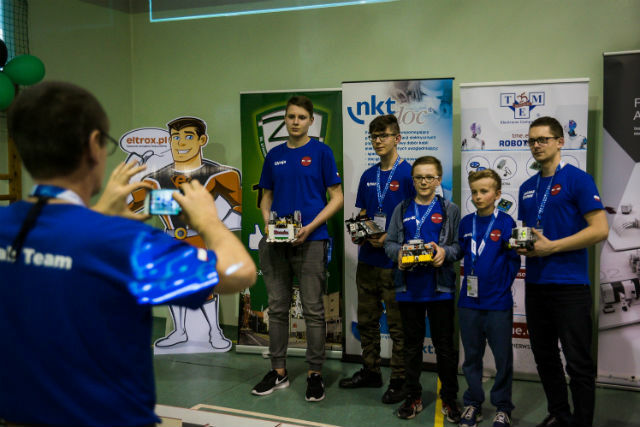 The goal of the contest was to attract people to robotics and state-of-the-art technologies by designing, building and programming autonomous robots. While designing the robots, the participants applied the knowledge from such areas as: mathematics, electrical engineering, electronics, IT, as well as selected issues of physics and maths. Additionally, the event was an opportunity for exchanging experiences and making new friends. We would like to congratulate the organizers and all participants!